In most cases, this vehicle features two separate electrical systems – one of which is the 120-volt AC, which supplies it to high-wattage and high-power consumption appliances, like air conditioning units, hair dryers, coffee makers, and ovens. Another one is the low-voltage component of its electrical system. Such supplies 12 volts DC to certain items including lights that operate without having a high current draw. Sometimes, onboard batteries power them, providing enough power just in case you do not hook up to a generator or an outdoor power source. It is important to note that once you connect to a source of power in a campground or run off a generator, your power converter is capable of changing the 120-volt AC power into the 12-volt DC. This makes it more compatible with the batteries and electrical systems with a lower voltage. The converter is also capable of supplying a kind of electricity, which allows the power provided by the batteries to be taken place. It also works in recharging them. 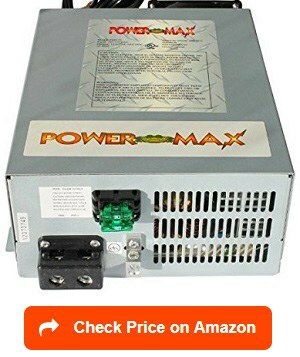 When searching for the high quality RV converter, one of the products guaranteed to deserve your attention is the PM3-55 Power Supply Converter Charger from PowerMax. One of the many things that immediately impressed me about this unit is the ease involved in terms of its installation. Available in different sizes, you can find one that suits your needs. It even features mounting flanges as well as an AC power cord, which you can use in plugging to the standard 110/120-volt outlet. If you are a recreational vehicle owner then you will be glad to know that this specific converter charger perfectly suits RV application. This means that you can install it in your vehicle to supply power. This specific unit has a DC output, which comes with a junction set screw style. I find such style impressive as it means that it can cleanly strip the heavy-duty battery charge with wires and insert them into the junction. It also guarantees that it will be tightened firmly. Aside from being used in your recreational vehicle, I am also pleased to say that it works well in any application where a 12-volt DC power requiring higher amps is necessary. In fact, you also have the option of using it on your test bench as a means of keeping your battery banks full. Furthermore, this specific 3-stage converter charger also features smart chargers as well as a current limiting design, which works in shutting down the power automatically just in case of short circuits and overload. 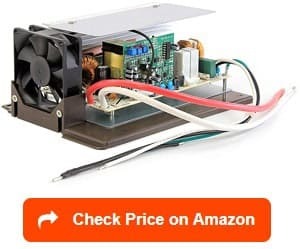 One issue that users of this power converter might encounter, though, is that its fan tends to make some noise when active. Another of the best RV power converter that you can choose is the PD9260CV from Progressive Dynamics. In my opinion, one thing that makes this 60-amp converter totally impressive is its ability to supply a highly reliable and filtered DC power to all the 12-volt appliance and lighting circuits inside your RV. I am also pleased to say that the converter supplies a rapid and safe recharging of the batteries in your RV. It can also prevent possible damage caused by the improper battery lead connection with the help of its built-in reverse battery protection. You can also choose from the multiple sizes provided by this power converter. I am also glad that it can offer protection to your appliances especially when it comes to damaging low-voltage irregularities. It is mainly because of the low-line voltage protection present in it. Furthermore, it can automatically lessen the output voltage upon reaching the max capacity because of its electronic current limiting feature. Another thing that leaves a good impression on me is the charger wizard built into the unit. Such refers to a system controlled by a microprocessor designed to monitor the voltage in your RV battery on a constant basis. The result is a safe and fast recharge. It is a versatile system, too. It is mainly because it can choose from three charging voltages as well as four operating modes. The choice will be dependent upon the use and condition of the battery. The built-in protective features integrated into the unit also guarantee its long-term dependability. However, just like the previously mentioned power converter, this one from Progressive Dynamics also tends to produce some noticeable sounds coming from its built-in fan. Another unit that I can recommend in case you need to do an RV power converter replacement is the WFCO WF-9855 55-amp Deck Mount Converter. What I am so pleased about in this unit is that it has the capability of supplying a reliable and clean power for all your RV appliances and electronics. What is even better is that it can provide such power without having to do some filtering from a battery. You can actually use this converter, which is available in different sizes, to replace RV converter battery charger or any obsolete or defective mount converter. You can also use it in upgrading your present system. All it takes to do the upgrade is to replace your existing single-stage power converter with this high-performance 3-stage power converter from WFCO. I am also pleased to say that unlike other power converters, this one seems to operate quietly. 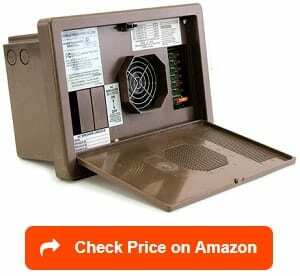 It is because you can expect its cooling fan to run only when necessary. Another thing that I am so happy about with this unit is that it does not interfere with any form of signals, such as those in the radio and television. It also works in maintaining the life of your battery through its automatic 3-stage battery charging feature. The fact that this unit is electronic current limiting is also a big advantage as it means that it works in shutting down the power automatically, especially during short circuits or overload conditions. One issue, though, is that while the built-in fan functions whenever needed, it seems to be incapable of drawing cool air coming from outside. The built-in fan seems to be incapable of drawing cool air from the outside. Another power converter, which is also available in several sizes, is this specific product from IOTA Engineering. This 75-amp converter and charger is actually one of the most fully functional power converters you can ever access in the market. I find its switch mode technology useful in supplying a high-quality power to your battery. It also converts power based on the needs of your recreational vehicle. I totally appreciate the ability of this unit to supply clean DC output. I find it impressive, too, considering the fact that it works well together with the IQ smart charger. With this, I am sure that it is effective in providing an automatic 3-stage battery charging process. Such provides a guarantee that you can safely charge the battery of your RV while ensuring that it continues to have a long life. Another highly remarkable benefit of this unit is that it works ideally in charging all kinds of 12-volt lead acid batteries. These include the absorbed glass mat, gel cell, and flooded batteries. It is also advantageous in the sense that it gives you the opportunity of operating it via a nominal VDC load to a maximum of 75 amps with the help of its tightly controlled regulation. Furthermore, the voltage of this unit is set in such a way that it can supply its max current for just a specific period of time. With that, you have an assurance that it can lessen the risk of putting undue and unwanted stress to the battery because of the cells heating up. One possible downside, though, is that it uses screw terminals that can cause the cables they accept to get pretty warm in case of the full operation of the device. The accepted cables of the screw terminals can get warm when the unit operates fully. I am pretty sure that the Parallas Power Supply 45-amp Converter can also give utmost satisfaction to all recreational vehicle owners who need a highly reliable power converter. You can also access various sizes for this product, giving you the opportunity of finding one, which is perfect for your requirements. It comes equipped with a 3-stage 45-amp charger, which, I think, really performs well in terms of supplying dependable power to the appliances inside an RV. One thing I genuinely like about this power converter is that it can leave a lot of power to run other devices operating using the 120-VAC. It is mainly because this converter is mainly designed to work on 120-VAC 15-amp branch circuits. I also find this unit totally favorable because of its sturdy steel enclosure. You can also expect it to have a fuse block with 11 positions to choose from together with indicators for a blown fuse to guarantee everyone’s safety. Another thing I truly like about this unit is that it is upgradeable into the TempAssure technology, especially if you want to maximize its ability to charge the battery. 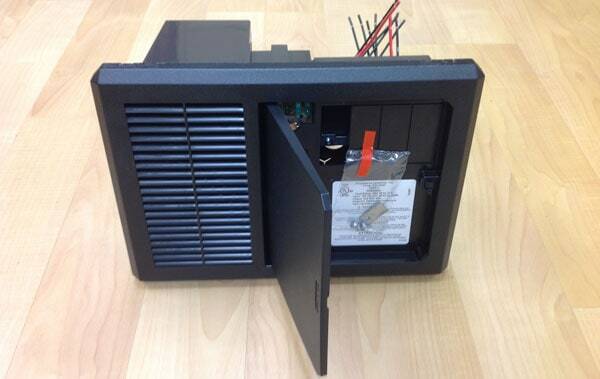 All it takes is for you to install the 4400TAU module offered by the same brand, Parallax. It is protective, too, in the sense that it shuts off automatically just in case it reaches the max power required. One problem, though, is that it is deeper than other converters today, which might cause you to have to relocate a compressor during the installation. Another converter/charger that I am sure will instantly leave a good impression to anyone who needs it is the Go Power! GPC-55-MAX Converter/Charger. I am truly impressed with the 4-stage charging system used in this unit. With such system, I am sure that it can charge the wet cell and flooded batteries up to a hundred percent. The fact that it can charge using its 4 stages makes it capable of handling battery banks that have a max of 6 batteries. Available in different sizes, I can also say that this converter can fit the needs of different kinds of users, making it one of the most flexible units you can find in the category. I am glad that this converter is designed to be compact, too. With its compact design, I have an easier time installing it and making it fit even in the small available space in my recreational vehicle. Installing it is also easy and simple considering the fact that it comes equipped with a 15-amp plug. Also, it is designed in such a way that every time there is over one battery charged in the system, the multiple batteries will be charged at different levels. The equalize stage of the entire charging system of this converter also works in ensuring that the batteries will be charged at a higher voltage than normal. Such ensures that all the batteries will have the same level of charge. The equalize stage also works automatically in case the battery bank needs it, thereby promoting convenience. One drawback associated with this RV converter is that it tends to be noisier than other power converters in the market. I would also like to include the Arterra WF-8955-MBA 55 DC Amp Replacement in my list of recommendations. In my opinion, one of the major highlights of this product is its automatic 3-stage charger system. 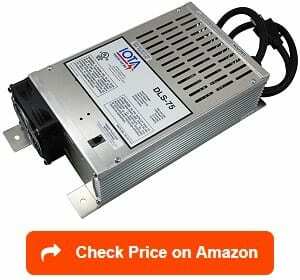 It also takes pride in its power input, which can reach up to 950 watts. The process of installing this converter is also pretty easy and quick. It does not require too many tools, as well. In fact, you will only be needing two screws, two DC wires, and three AC wires, allowing you to install the whole unit in as little as ten minutes. It also performs effectively as a good replacement for all your power centers. The 3-stage converter also provides a big advantage as it is capable of handling all the charging requirements of your recreational vehicle. It can also extend the life of your batteries. In addition, it can help ensure that your RV batteries remain well-maintained. It also tends to fit the majority of spaces perfectly. 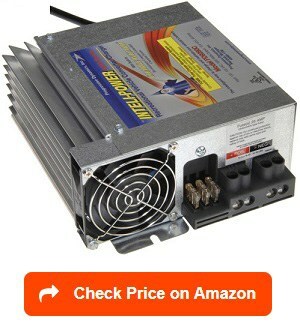 I also think that this RV converter performs well for its price. It has a truly affordable price, making it worth the investment. Furthermore, it seems to run more silently when you compare it to other RV converters that are now offered in the market. It also functions properly, especially when it comes to solving your fluctuating 12-volt issues. However, be aware that it lacks some instructions, especially when it comes to installing and operating it. Fortunately, it has a straightforward and simple design, which makes it easier for you to figure out how to put its parts together and use the unit. The last product I would like to suggest for RV users needing a converter is the WFCO WF-8735-P 30-amp Power Center. It is a pretty good product considering its ability to supply up to 35-amp DC output as well as a highly dependable nominal 13.6 VDC, which is designed for your onboard appliances and electronics. What I like about this 30-amp power center is that it supplies power with or without the need for a battery. Also, I find it convenient to use as it does not require any additional filtering just to let it up and running. It boasts of its 3-stage charging system, which promotes a longer battery life. It is convenient as it is fully automatic, too. I am also sure that this RV converter can eliminate your worries and give you peace of mind. It is mainly because of the reverse polarity and short circuit protection that it offers. This makes the converter more reliable and safer. It comes with a cooling fan, which operates only when necessary, thereby ensuring a silent operation. What is more advantageous is that the installation of the front-cooled fan does not need any extra space requirements. It also offers protection against possible issues, including reverse polarity, overcurrent, overload, over temperature, and short circuits. One more thing to like about the converter is that it does not interfere with signals, including those in your radio and television. It does not come with clear instructions for installation, though, which is its only drawback. Operating the converter does not require any extra filtering. If you are looking for the right RV converter then take note that several choices will be laid out to you. This is the main reason why you have to conduct a thorough research about all the possible converters in the market that are suitable for use in recreational vehicles. One important thing to take note of when searching for a good RV converter is its capacity. You have to ensure that you choose one with the proper and right capacity for your vehicle. Also, you have to remember that the higher its capacity, the heavier and larger it will be. A converter with a higher capacity also means a higher cost. Your goal, therefore, is to look for a converter, which is capable of handling the wattage required by your appliances without being large and bulky unnecessarily. It should not be too heavy, as well. Also, another thing that you have to remember is that the power level that your converter can handle plays a major role in ensuring that all your onboard electronics operate safely. To guarantee your safety, ensure that you look for a converter capable of handling a minimum of 10 to 20 percent more than what your device with the highest wattage uses. For example, if you are planning to take a hair dryer, which operates using 1,400 watts on your trip, then go for a converter capable of handling a minimum of 1,600 watts. In case there are problems in your RV converter, then be aware that there are ways for you to troubleshoot it. In most cases, the whole RV converter troubleshooting process starts with determining what the actual problem is. The converter may fail to function because of a lack of power. There are instances wherein you will face scenarios when the power supply is available but in insufficient amounts. Another problem that your RV converter might encounter is when the bad battery draws a charge from normal batteries. In this case, it would be best to examine the batteries individually. This is helpful in determining whether they are completely charged. Also, you might need to use a multimeter as a means of inspecting the recharging ability of the batteries. This will let you know whether they tend to lose charge over time. 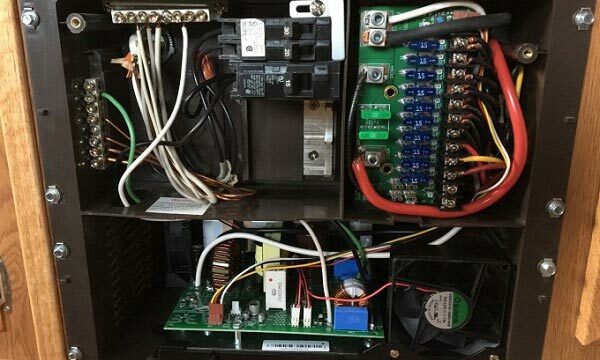 When it comes to troubleshooting RV electrical problems, especially the converter, the first thing that you have to do is also to figure out whether the power converter is indeed the component, which malfunctioned within the system. Once you connect the power converter to the supply of power, check whether at the entry point, the voltage is within the 108 to 130-volt range. A reading within the mentioned range signifies that it is normal. After that, check the actual voltage at the specific point where you connect the converter to the 12-volt DC box. To determine if it functions normally, it should fall between the 11 to 13-volt range. You will instantly know if the converter malfunctions if the shown readings are below the mentioned range. Once you have checked the two points and ruled out the issue from there, checking out the separate components should come next. What is an RV Converter? An RV converter is a device that you can use if you wish to convert 110-volt household (AC) power into a 12-volt battery (DC) power then charge the batteries of your RV simultaneously. Each time you plug into an electricity or utilize a generator, the main job of the converter is usually to decrease 120-volt AC to 12-volt DC. It performs such job as a means of providing more than enough power to all 12-volt accessories and appliances inside your vehicle. In case you do not plug into a source of electricity, the battery of your RV will provide power to all the mentioned accessories and appliances. With the help of the converter, the risk of draining the batteries of your vehicle will be prevented. That is possible each time you plug into electricity or run the generator. Also, take note that the RV converter serves as the charger of the battery. It charges the batteries, thereby maintaining their power. It would be ideal to look for a smart converter as it is an excellent upgrade regardless of the kind of RV you own. A smart converter charger often performs its charging function through four stages/cycles. The first one is bulk – the primary part of the cycle, which works in bringing the battery to close to the 90 percent charge. The next cycle is absorption, which works in tapering the charge amp lower then slowly charging the battery’s last 10 to 20 percent prior to moving into the next cycle. The float is the next stage, which ensures that your RV batteries continue to be topped up at low volts. Such is necessary for preventing the loss of electrolytes. The last stage is the equalize, which works in supercharging the voltage of the battery. The main purpose of this is to get rid of any accumulated sulfur that might fill the battery plates. Note that the buildup of sulfur in the plates might reduce the life of the battery and affect the charge quality. 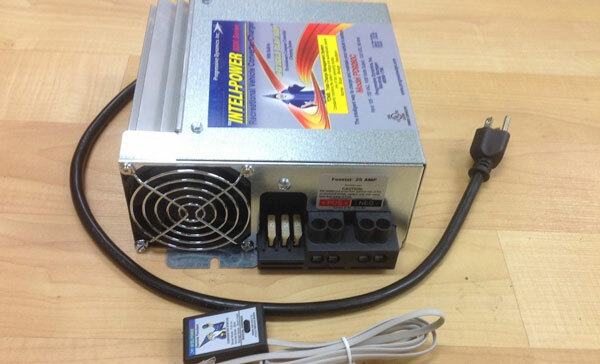 A power converter is famous for being a valuable component in an electrical system of an RV. Note that in most cases, coaches and RVs come with two separate yet vital electrical systems. The first system supplies 120-volt AC power to high-watt and high-power appliances, including air conditioners, coffee makers, and hair dryers. The second system is known to be a low-voltage part, supplying 12-volt DC to other items, such as lights, that do not require high current draws. Onboard batteries power these items sometimes, supplying power each time you are not hooked into a generator or outside source of power. Your converter functions by changing 120-volt AC power into 12-volt DC each time you operate a generator or connect to the source of power in a campground. Such conversion is perfect for batteries and electrical systems with low voltage. The electricity provided by your RV converter can actually substitute the power provided by batteries. One more thing that it can do is recharge the batteries. You can go for basic converters that work with just a single stage. You can often find this in low-priced and old coaches. However, if you prefer a converter with a more sophisticated internal circuitry then it would be more advisable to choose the more modern ones. It is because the circuitry is sophisticated enough that it works in conditioning and charging the batteries properly. Some models of the converter can provide a fixed voltage, approximately 13.2 volts. These are not good choices because they have the tendency of preventing the batteries from getting a full charge. They also tend to lessen their service life. If possible, go for modern converters with modern multi-stage circuits for charging. These include the four operation stages/cycles mentioned earlier – the bulk, absorption, float, and equalize. RV converters are available in different kinds with each one suiting the needs of a specific kind of user. To help you identify what specific type of converter you need, it is necessary to get to know more about them, including what each type can do. Multistage converter – The multistage converter or charger usually involves an equalization procedure. This type is suitable for anyone who is looking for an effective solution when it comes to charging different kinds of batteries, including the lead-acid battery. In the past, the only converter that you can use features a fixed voltage or simple single stage design. While they are still in use up to the present, it would be wise to look for a multistage converter. It is because it is compatible with the more advanced electrical systems today. Note that these advanced electrical systems now use sensitive electronics and printed circuit boards. With that in mind, it is no longer surprising to see them needing a charging system, which is more comprehensive. That is what a multistage converter can provide. In addition, it provides a clean DC voltage output and promotes fast charging. While using a multistage converter is quite complex, it is all worth it as it works in properly conditioning your RV’s batteries. High-output converter – This type of converter is a great choice for those who are in need of one, which can meet the higher power demands of their electrical system. This means that the converter offers up to 80 to 90 amps to ensure that even the highest demands are met. Extreme temperatures in some areas might also affect the batteries. It might have a negative effect on how the batteries discharge and charge. It can also affect longevity. You can lessen such risk by using a high-output converter. Deck mount – As for the styles, one type of RV converter that you can choose is the deck mount. This is a unit, which you can screw to a sidewall or floor. You can actually install it anywhere provided you meet the ideal spacing requirements. Some of the areas where you can install it are within a compartment or hatch, inside a cabinet, or under a seat. 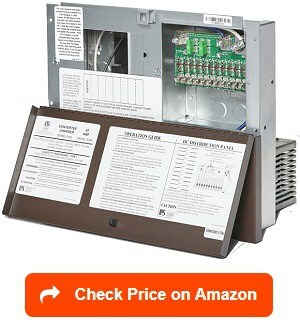 You can also install it in any other place that allows you to reroute the power supply. Distribution panel – This is another style of RV converter that is available for anyone who loves to travel on the road. Many choose this style in case they need to replace a previously installed converter. It can be described as a large panel unit, which you can install in the RV’s cutout wall while staying easily accessible and visible. This style also usually features the circuit breakers and fuses that are often behind the door or main panel. With such feature, you can conveniently access it in case there is a need for replacement or repairs. Aside from the types and styles already mentioned, take note that there are also certain models that feature a battery charging circuit. This allows the charging of 12-volt house batteries while plugging the RV into shore power. However, take note that even if the converter features a battery charger, you can’t still expect it to charge a fully dead battery. Ensures that your onboard appliances and fixtures run properly – Note that you need a properly functioning RV converter to ensure that all the electrical fixtures and appliances inside your vehicle run. It is mainly because it has the ability to distribute power all throughout your vehicle properly. 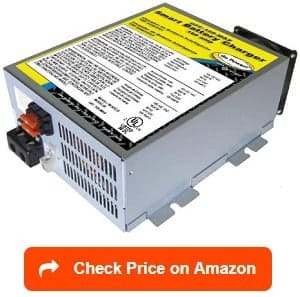 Prevents the risk of fully draining the house batteries – This benefit is made possible by converting incoming 120-volt AC into 12-volt DC power for your house system. Such conversion also takes place when you connect the RV to a generator or shore power. Promotes the even distribution of power – What is good about an RV converter is that it allows the proper and even distribution of power to various AC and DC circuits found inside your vehicle. It does so by taking the primary power, which comes from the generator or shoreline then distributing it to various branch circuits. The distribution is made possible with the help of the individual switches of the breaker. Charges house batteries – Another major benefit of having a converter inside your recreational vehicle is that it ensures that your house batteries stay fully charged each time you plug your vehicle into a shore power. It also promotes a full charge to the battery when the generator runs. However, note that while the unit boasts of a battery charging system, it still has a quite low charging current available. In other words, it won’t be capable of properly charging house batteries with a low charge condition. Such a situation requires the use of a high-output and independent battery charger. There are instances when your RV converter is unable to perform its intended function. In that case, you need to do some basic troubleshooting to get it to function again. When troubleshooting, you have to remember that the unit needs adequate voltage input in order for it to operate and function well. 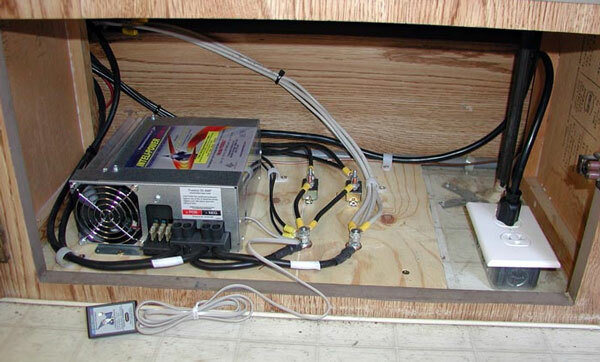 Start by scrutinizing or examining the voltage found at the specific outlet where you plugged your RV. With the help of a handheld multi-meter, check the campground outlet’s voltage. The result should be around 108 to 130 volts but preferably, it should be 120 volts. The next thing to do is to check whether a GFCI (ground fault circuit interrupter) protects the circuit. If that is the case then find out whether such interrupter is tripped. Another thing to check is the power that goes into the RV’s converter. Find out whether there are fuses inside. It is necessary to replace any burned out fuses with the right replacements. The next thing to do is to listen. You will instantly know that your unit functions well if it hums. The next step is measuring the DC voltage. Such voltage is where the power is taken out from your converter to the DC breaker box. You know that it operates properly if the voltage is around 12-14 volts. Anything lower than that indicates a malfunctioning RV converter. Another thing to remember is that RV converters feature a small fan with the main function of cooling the internal parts when the units are running. Such cooling fan tends to turn on and off while you are using the converter. A temperature sensor also controls it. The cooling fan also operates at 120-volt AC. With that, be extra careful when you are still measuring the voltage. Make use of the AC meter scale as much as possible. Also, ensure that the voltages get through the sensor to the motor of the cooling fan. If you notice that its motor runs excellently then it is an indication that you can jumper wire the sensor, making it possible to run the cooling fan. Another thing that you can do is to upgrade into a multistage charger regardless of whether you will do it by adding new parts or replacing the entire unit. Doing such will greatly affect the performance of the battery. The good news is that there are several advanced and high-tech choices that you can find today. With that in mind, finding one, which can meet the versatility and power required by your RV is possible. Make it a point to examine the RV converter on a regular basis, too. This will help you identify issues right away and fix them as soon as possible. By learning these troubleshooting and maintenance tips, getting your converter to run for as long as possible will never become a problem. You can expect it to serve its intended purpose for a long time. What size of RV converter do I need? The correct size of RV converter you need is depending on the specific power requirements of the specific appliances you plan to operate at a certain time. In this case, it would be best to consider the surge power and the continuous power ratings of your appliance. Make sure that the continuous rating is high enough in the sense that it can handle all loads that are running simultaneously. Also, ensure that the converter can handle the initial surge of all loads that might begin all at the same time. Your choice should also be dependent on the amps or watts of the appliances you wish to run. What warranty comes with an RV converter? 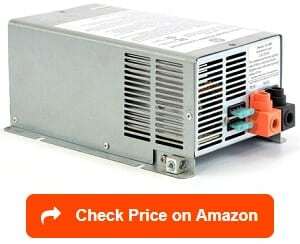 It actually depends on the brand of your RV converter and its manufacturer or supplier. In most cases, the warranty provided by popular RV converter brands covers around 1 to 5 years. Just make sure that you are fully aware of the warranty procedures prior to buying an RV converter. Also, ensure that you get one with a valid serial number. Note that in most cases, this serial number is essential for all service work covered under the warranty. It also helps ensure that the services you avail of are handled smoothly and easily. What is a power converter for in an RV? The RV power converter is often used in providing power to vent fans, lights, thermostats, refrigerators, and any other onboard electronics. It is crucial to note that this power converter designed for your recreational vehicle is only needed in case you wish to charge your RV batteries after you plug them into a shore power. It might also be needed if you use a generator. In case you are in a place with a lot of sun and you are using a solar power, then you can discard the use of the converter. However, since the weather is dynamic and changing in the majority of place, it would be best to have this installed in your vehicle. How does an RV converter work? The RV converter begins to work once you plug it into a source of electricity or power or when you are using an onboard generator. In this case, take note that the main job of the converter is to reduce the 120-volt AC to the 12-volt DC as a means of supplying power to all your onboard 12-volt appliances, facilities, and accessories. In case you are not plugged into a source of electricity, then the battery in your recreational vehicle will supply power to all your 12-volt facilities and appliances inside the RV. If such is the scenario then the RV converter’s job is to prevent the battery from draining once you plugged in. How to tell if an RV converter is bad? There are actually a few signs that will help you instantly determine whether your RV converter is already malfunctioning or delivers a poor performance. Note, however, that in the majority of cases, you will know that your converter performs badly or is malfunctioning if it ceases to function. This can result in the complete loss of power to your 12-volt DC controls or fixtures. Another sign is when your RV converter still supplies power but it is inadequate, causing it to be unable to run your 12-volt DC electronics. However, take note that the problem is not usually that apparent unless the 12-volt batteries onboard are fully drained of charge. This is the main reason why you have to be truly vigilant with the actual condition of your RV converter. How to replace an RV power converter? 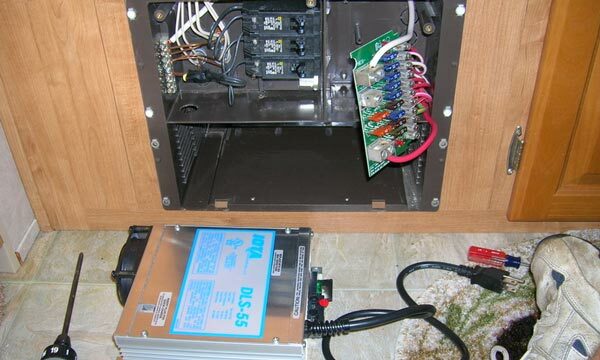 Replacing your old and malfunctioning RV power converter is not that hard. It just involves a simple installation process. All it takes is for you to look for a highly reliable converter in the market that perfectly fits your needs. Once you have the new converter, installing it will be easy. You can even find RV converters that are fan-cooled while providing a dependable and clean 12-volt DC power to your lights as well as the other onboard appliances in your RV, camping trailer, or motorhome. If possible, pick the models that have 45 amps, 60 amps, and 80 amps so they can perfectly fit the power requirements of your vehicle. In case you plan to update an old travel trailer or motorhome or replace your 12-volt DC breaker panel then you can go for a power converter, which also comes along with a dependable breaker system as a means of supplying you with a clean and reliable 12-volt DC power that you can use to supply power to your vehicle. How do you know if your RV converter is working? You will know that your RV converter is working properly if it performs its main function of converting household power into battery power. With such function, you can expect the converter to charge the batteries of the RV power converter automatically. You also have an assurance that it is working properly if it is effective in supplying adequate power to lights, thermostats, vent fans, refrigerators, and other appliances that are inside your recreational vehicle. How to test an RV power converter? There are actually a couple of ways for you to test your RV power converter. One way is to determine the entry of the 120-volt power of your recreational vehicle. In this case, it is possible for you to utilize a voltage meter to figure out if the power is delivered to the converter charter. Once done, the next thing to do is to plug your vehicle into a running generator. What is important in this step is to check the reading. In this case, the ideal reading should be around 103 and 130 AC. Such range will prevent any damage to your cellular devices or appliances. If a voltage reading goes over 120 volts, then there is a chance that your onboard appliances will get damage or trigger additional electrical problems once you are already on the road. The best RV converter is indeed a vital component of your recreational vehicle, especially if you want to make sure that all your electronics continue to run as you expected. Fortunately, with the right information about the different products in this industry, finding the perfect one for your specific rig is simple and easy. We would like to thank you for reading this article. Find out more about how to choose the best RV solar panels and best RV generators with our reviews and ratings. Furthermore, please take a look at the best RV surge protectors, best RV inverters and best RV deep cycle batteries to buy the right one for your RV power and electrical supplies.